When you need to make arrangements for a memorable gathering on One Happy Island, Ricardo’s is your go-to private event venue. No matter what the occasion, we’ll work with you to figure out all the details so your event is everything you dreamed it would be! 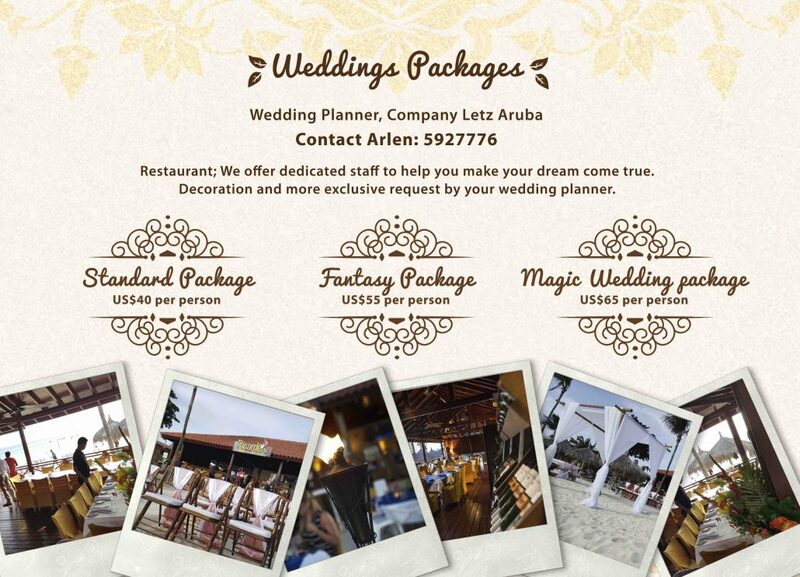 Planning a Destination Wedding on Aruba? Choose Ricardo’s! 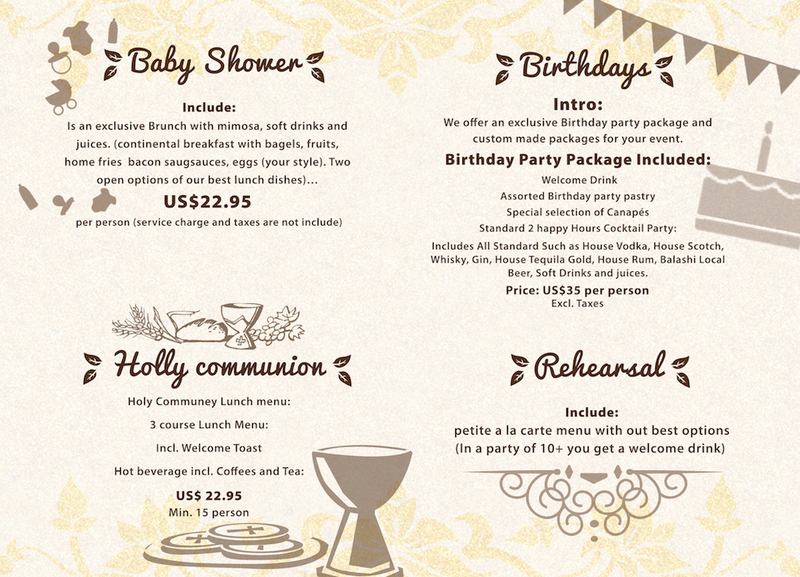 Ricardo’s is the perfect place to have your wedding and reception because of our ideal location. We’re literally on Punta Brabo Beach, which is located between Manchebo Beach to the North and Divi Beach to the South. 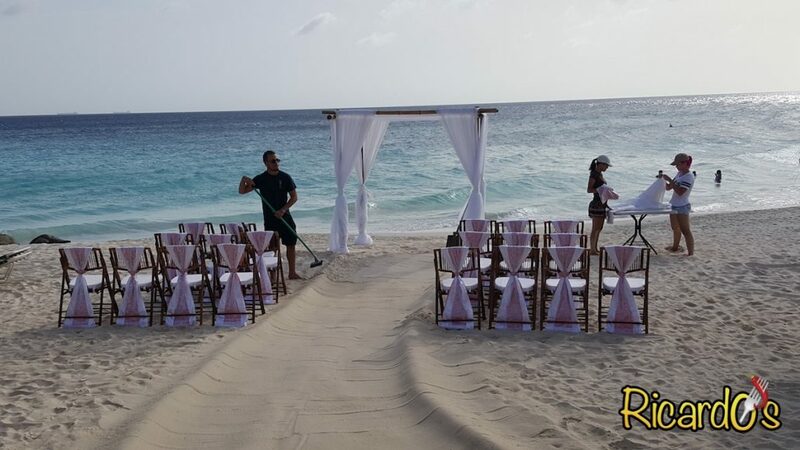 What could be more romantic than exchanging vows on the beach at sunset? 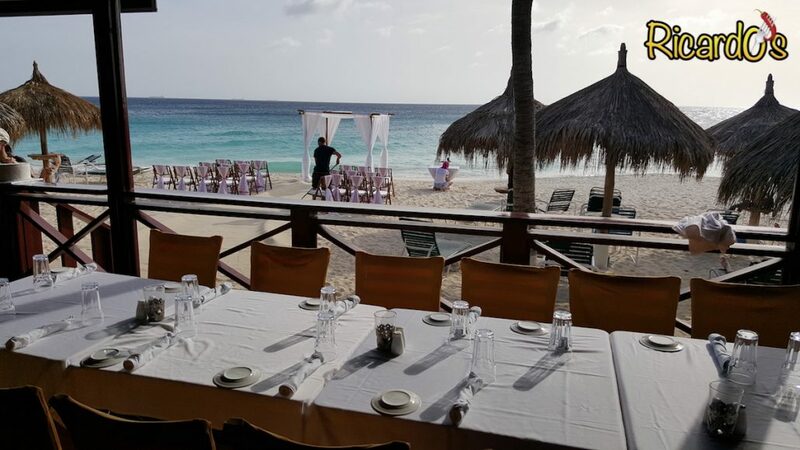 And once you’ve tied the knot, you and your guests can enjoy the best in Aruban and international cuisine at the same location! Whether it’s a birthday party, first communion, rehearsal dinner or baby shower, Ricardo’s is pleased and eager to serve as your go-to private event venue. If you’ve got something in mind other than what you see above, just get in touch with us and we’ll help you develop a plan for your event. 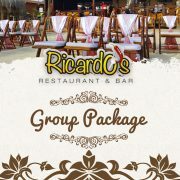 For more information or to get started with planning your dream at the private event venue ready to serve your ever need, give Ricardo’s a call at +297 587-0760 or visit us online! When Ricardo’s Restaurant and Bar was started in 2014, we had one goal in mind: Providing both locals and tourists with our winning formula: Good Food, Good Folks, Good Fun and Good Views. Our menu features both Aruban Cuisine and a variety of international dishes to ensure there is something for everyone. Our servers and bartenders are quick to do everything they can to ensure a great experience, and our theme nights and live music make for good times on One Happy Island. And the gorgeous views from our deck and on-beach dining options are priceless!